I am pretty busy these days and live in the second floor of a condo. I need some exercise and when I get home late at night but the last thing I want to do is head to a gym. It takes me 15 minutes to get their and 15 minutes back which is about the amount of time I spend on the Max Trainer. I save a lot of time this way and I can workout in the comfort of my home and watch what I want on TV. It is a great way to binge watch TV shows on Netflix BTW. 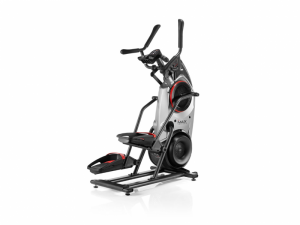 The Bowflex M5 works really well and I always have an intense workout when I use it. The M5 has a number of workout programs to choose from but I usually end up using the smart Max Interval one. My one complaint deals with shipping. It was shipped to my door. I asked the shippers if they could take it upstairs, they would not (I even offered them extra money to do it). Intense Exercise. Well built should last a long time. Would be nice if the shippers would take it up stairs.